Batman has been captured and gets a most generous offer. Time to have all leitmotives come together in one track! Listen and read along! The scene starts with spotlights at a tied-up Batman in the circus ring. The music mocks the circus attraction scenery with rolling snare drums. Then the villains reveal themselves. As they exchange bits of dialogue with Batman, the music sticks with the harmonic material, but engages in an up- and down going arpeggio figure which has a subtle hypnotic quality as if to help persuade Batman to change sides. 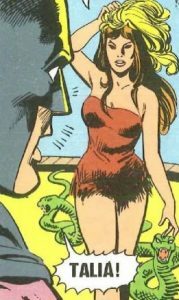 Then the revelation: Snake woman reveals herself as Talia whom Batman is rumored to have killed. When I composed the music, I thought that Talia getting back into the picture deserves a big moment with her theme prominently featured, but that would have destroyed the flow of the whole scene. Instead I focused on that short moment of disbelief, because when you look at Batman, he’s very composed and not at all impressed by the game she has been playing. Of course he also turns down her “most generous offer” to live by her side and serve Ra’s al Ghul. That’s why the music is rather restrained. There’s a subtle crescendo, Tam Tam and a short pause, but other than that the hypnotic up and down and up resumes (with some shakers to reflect the hissing snake in the picture). When it’s clear that Batman refuses, the finale starts off and action music takes over with the Batman motif in the lower brass. I tried to reflect the different challenges that Batman has to face with different musical quality, for instance the juggling of the burning daggers and the jammed gun which turned out more comical than I intended, but I left it as I found it didn’t disrupt the action. There’s a moment when Batman seems to be overcome by the sheer number of his enemies when timpani paired with low piano are prominently featured. 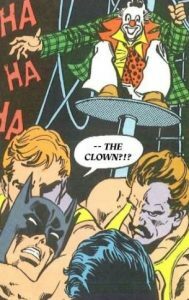 There’s tension building to the point where the clown is revealed as the Creeper. There’s a reprise of the Creeper’s transmutation motif with a short dramatic pause before the action music resumes a tempo (with the Creeper’s theme in the horns) and leads us to the capturing of the leader. As the dwarf turns out to be Ra’s al Ghul, there is some wondrous music with harp glissandi accompanying the revelation, followed by Ra’s’ motif, but shortly after that the burning tent collapses. 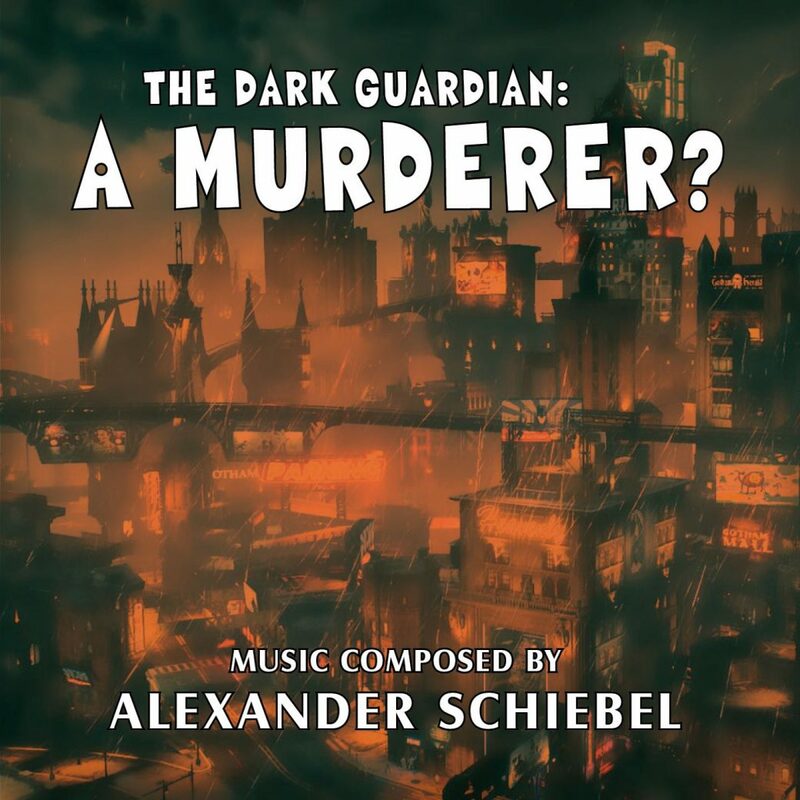 There’s a few bars of big drama and strangeness as Ra’s al Ghul rises his arms as if to embrace death “like an old friend”, the latter concluding the track with his theme performed by choir. These 5 stages of a single cue really challenged me during composing because it’s all happening so fast and each stage is tonally totally different than the one before. What do you think? Did I manage well or does the finale music seem hasty? Let me know in the comments or on Twitter!